When you are looking to build your own custom home, the process can seem daunting. At VB Homes, we want to make your project as easy and stress-free as possible. 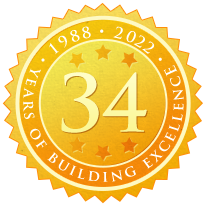 Our process for each project includes design, construction, and once the build is complete, follow-up visits to ensure that our customers are thoroughly satisfied with the work we have done. In the sections below, you will find an in-depth summary of the way in which we complete each project. It is our hope to make each customer a Customer For Life, and we look forward to helping you make your dreams a reality!